Rodrigo Cursino is a Software Test Consultant at CESAR with over 12 years of experience in Software Testing and Agile Methodologies. Currently, he is coaching 4 development teams and his main areas of expertise are Exploratory Test, Risk-Based Test, and Test Automation. He is CTFL/ISTQB and ScrumMaster certified, B.S. 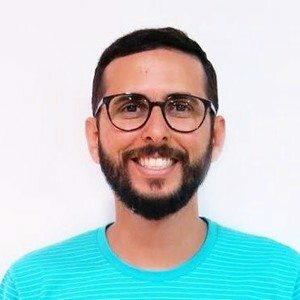 in Computer Engineering by the University of Pernambuco and Master degree candidate in gamification of Software Engineer on the same University. Rodrigo also works on CESAR School as a software test professor. He was a member of CESAR Brazil team that won the Software Testing World Cup 2014. He also worked for companies such as Motorola/CIn-UFPE and ThoughtWorks. Achieve high levels of quality for a product, deliver valuable software, keep the customer satisfied, stimulate the motivation and happiness of the teams and have their members always improving their technical skills are constant challenges on a project or company. In order to deal with these questions, the teams have to be creative and apply innovative approaches on their day-to-day tasks. Testing Dojos, Hackathons and Mob Testing are examples of these strategies. At CESAR, we use them all and more! Our Testing Community (we have about 110 QAs) promotes regular meetups. In 2016, for example, we ran 4 testing marathons, 17 lightning talks, 3 testing-dojos and 2 mob testing. Our QAs are also motivated to join national and international testing contests like Software Testing World Cup and Testathon. We had awesome experiences when we won the STWC 2014 and also the Testathon São Paulo 2017. Based on these hands-on experiences, our community designed a Testing Marathon methodology to support our learning process. We call it CESARthon. It’s being used to improve QA’s technical skills, mentor new QAs and validate CESAR’s internal applications. We also use it to support CESAR’s business prospecting phase. The aim of this session is to present this methodology in detail, the different ways we can use it, the results and its benefits. Based on that, other testing communities and companies will be able to apply it in their context.